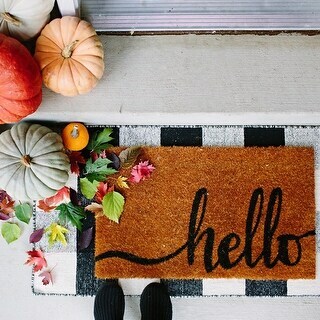 Looks perfect on my porch under my welcome mat. The Royal collection offers casual elegance in the form of a beautiful plaid pattern. This collection comes in a variety of colors and sizes ensuring that you will find a perfect accent to any room. 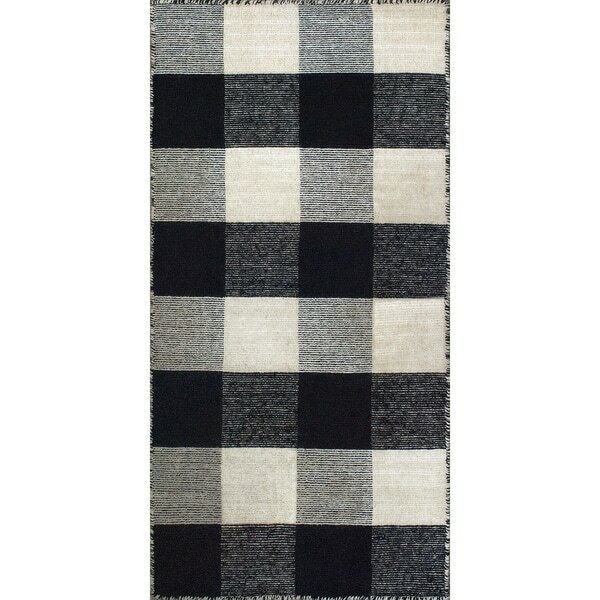 The flatweave construction allows this rug to fit under furniture and doorways taking the guesswork out of home decor. This collection is handmade with durable 100-percent wool fibers. 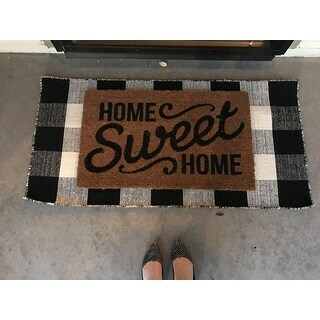 I have a Scandinavian minimal style and got this rug for our front door area. It's very good quality. Edge has been done nicely. Really great value for price. I tried at least 6 times to catch this when it came back in stock. I FINALLY got it and I'm so happy. Great material. Can't wait to put it in place. I love this rug. I have mine at the front door on a covered porch. Paired with a mat it is simply adorable. Despite looking light weight, this rug is fairly robust. The transitional color on it masks stains very well. I use this rug under the kitchen sink next to my kitchen island. It's a nice pop of color/ pattern added to the room. love the colors & style of this rug! I used on my porch under my other rug for a bit & then moved to my laundry room. it looks great & washed well. I found this listing based on a home blogger's recommendation, and was skeptical of the hype in the reviews. Well, this rug is very gorgeous. I actually bought 2, and put 1 on my front step with a door mat over it, and the second under the entryway table. They're well made and the way the edges are striped around the pattern makes it look really high quality. I don't think you'll regret this, this one seems like a much higher quality than most rugs at this price. Cute rug. Colors are more white than cream. I ordered two of these for my kitchen, and was nervous about buying kitchen rugs that cannot be machine washed. They clean up so nicely when washing by hand with carpet cleaner. I love them and would purchase them again! This rug is perfect - very well-made and looks great! I’m obsessed with this rug. 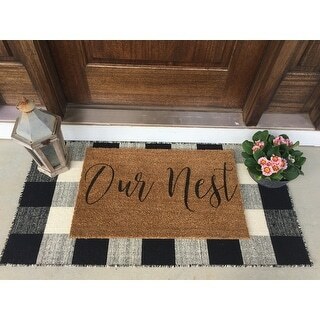 It is perfect for our front porch area. On trend, good quality, and at a great price. You won’t regret this purchase! This mat is perfect for rug layering!! Looks beyond cute at my front door. And good quality! I love these rugs! 'Just what I was looking for - for my laundry room! Looks just as it appears. I layered on top of it with a smaller Welcome mat. Had to flatten it out with some heavy books but once I did that, it looks great. Very good quality. I’m happy with it! I love this rug! It couples well with a door mat to layer! 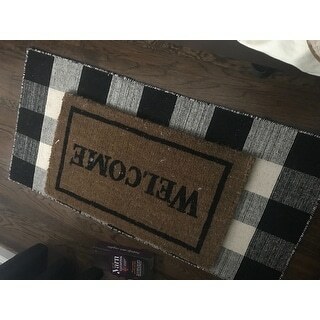 Cute black buffalo plaid rug that I placed at our front door with a coir welcome mat on top of it. Adds a nice touch to a front porch. Love this plaid! Goes with so much! I love this rug. I should have got 2. I would suggest buying the catch underneath because we have it by the front door and it slips around. It is so cute and stays really clean. Great quality too. Love this rug. Very nice quality. This rug is everything! I am waiting for the pollen to go away before I put it outside. It is thick and exactly as the description. It goes well with my farmhouse decor! "Will this item be back in stock? If so, is it possible to get a notification if it does?" This is expected to be back in stock by the end of the month. "It states that the rug is black/WHITE but by the looks of the product image it looks nothing like white. However, reviewers' photos look pretty white to me so I must ask- were there different color options at one point such as black/cream and black/white or is the product image just WAY off? TIA!" The "white" is more of a soft cream. Much nicer than a harsh white. These are quality rugs. "Do they have a 2x6 or a 3x6 or 2x5. I need a little longer than the 4 ft shown"
No, I recommend spot cleaning this rug. "does anyone know the pattern repeat size?" Hello KMM, there isn't a pattern on this rug. It is an all-over check pattern. Thank you for shopping with us! It had a great review. I think it will be perfect at the sink in my daughters kitchen. Perfect for kitchen and breakfast room -- loved them so much I ordered a backup for each room and one for the pantry. Made for my 1883 house. Don't want to be without these terrific rugs!!!! !